TOKYO – According to many Japanese media, a senior Chinese diplomat urged the Japanese government to implement tighter media controls upon openly expressing his discontentment over Japan's negative media reports regarding China. 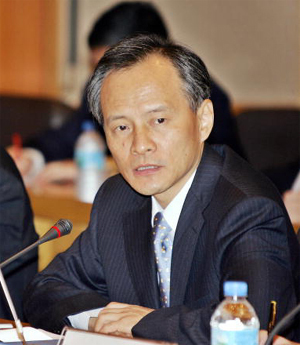 The remarks were made by Cui Tiankai, Director-General of the Asian Affairs Department of China's Foreign Ministry, in a China-Japan coordination meeting in Beijing on January 9. The reports triggered strong reverberation in Japanese society and have led many Japanese citizens to wonder if the Chinese communist regime is trying to export its “experience” of media control to Japan. Mainichi Daily News also reported on January 10 that Kong Quan, China's Foreign Ministry spokesman, complained in a regular press conference on January 9 that Japanese media has failed to provide sufficient news coverage about Hu Jintao's five-item proposal regarding the China-Japan relationship announced last April. In a commentary, Mainichi Daily News said that Japan's freedom of press is protected by the constitution, and that the statement made by the Chinese communist regime, which continues to exert rigorous surveillance and control over media, simply reflects the fact that the Chinese authorities' understanding of Japan's freedom of press is inadequate. However, the remarks made by the Chinese authorities may stem from the “Agreement of Reporters Exchange between China and Japan,” which has been influencing Japanese media's reports about China-related subjects for decades. The agreement, signed in 1964, stipulates that the Japanese media have to obey three principles before they can accredit reporters to China. The media are not hostile to China. The media will not issue commentaries that support Taiwan-Independence. The media shall not hinder the diplomatic normalization between China and Japan. This agreement has acted as a trammel, restraining Japanese media from reporting China-related issues freely. Because of providing news coverage unfavorable to the Chinese communist regime, all of the nine Japanese media that originally ran permanent offices in Beijing were expelled one after another except for the Asahi Shinbun , which has been friendly to the Chinese regime. Therefore, Japan's domestic media have adopted a position not to publish unfavorable remarks about the Chinese communist regime. This situation kept unchanged until last year, during which the anti-Japan incidents occurred. Most of the news coverage about China in the past has merely reported events and maintained the belief that the Chinese authorities would slowly evolve towards democracy. As the world has seen, however, intentional concealment of this nature has yet to provide real help for China's democratization. It has also not brought about encouraging effects on enhancing the “friendship” between Japan and China. Recently, Japanese media have begun to report China's true situations, such as the loss of farmland, cheap labor, uprisings and corruption. In fact, the number of issues exposed is far less than the actual number of issues that exist. It may not be that the Japanese media are purposely attempting to publish negative reports, as accused by Chinese officials. Perhaps it is rather that the Japanese media have returned to normalcy and begun to do what a media ought to do—report the truth. Reporting true situations as they present themselves will not “hurt the feelings” of Asian people. What hurts the feelings of the Asian people is instead the actions of those responsible for these unequal incidents. Covering the truth in exchange for the sentiments of the public will not last long. The world knows that the Chinese media have no freedom at all in reporting critical issues. The truth of many incidents will likely never be known by the common people of China. Should Japan really learn from China's experience in “controlling the media,” its future would be dreadful.